So after walking around, we decided to head to Khao for dinner (I was hooked when I saw that it was by Rama V). We have dined in RamaV several times and the food there was pretty awesome – not to mention to amazing ambient ! 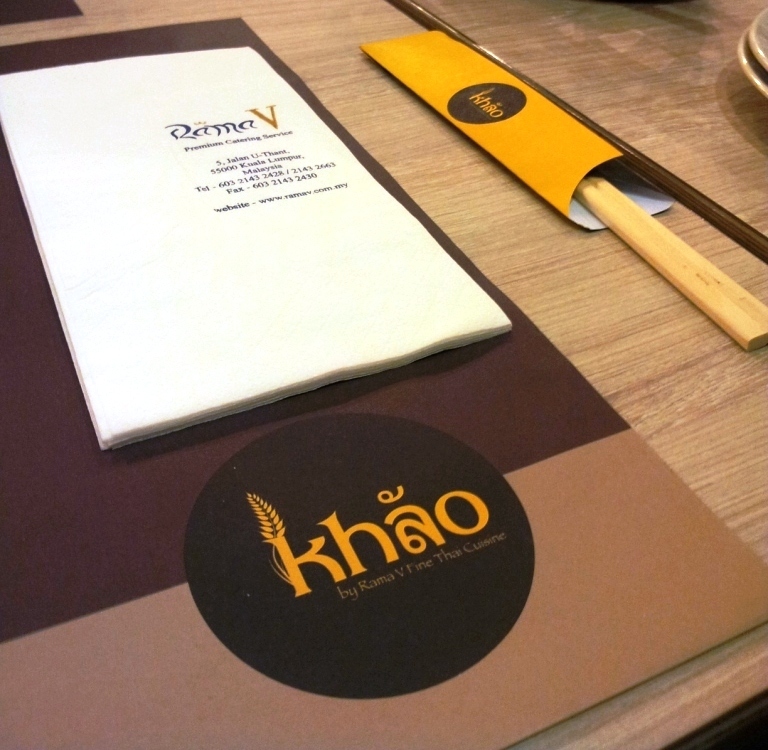 Unlike RamaV, Khao was catering to the casual dining crowd. They have impressive menu and some are similar to Rama V. Since there is only 2 of us, we decided to go for the set instead of their ala carte. 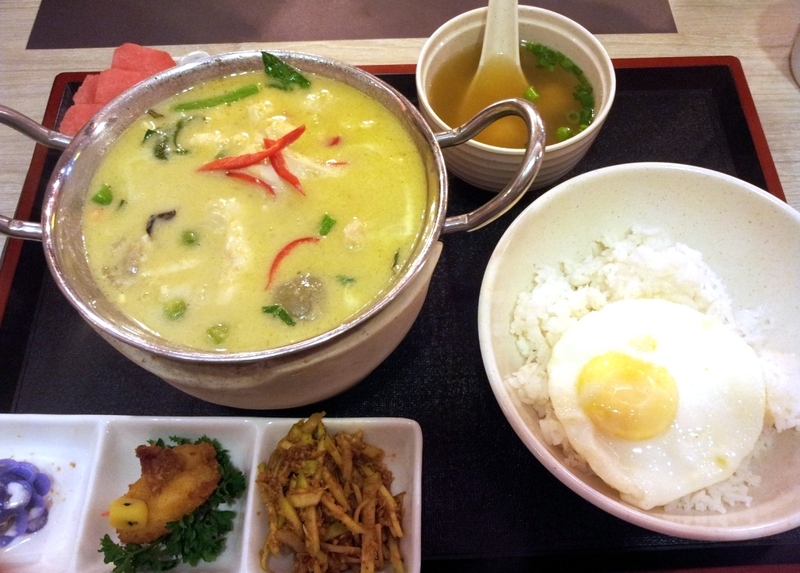 I had the Green Curry Chicken Set (RM18.90) and hub had the Duck Curry with Lychee Set (RM21.90). The Set comes with 3 appetizer (their famous chor lada, prawn cake fritter, pickled mangoes), 2 slices of watermelon, one bowl of clear soup and an egg on rice. The chor lada seems different from the ones we had in RamaV. But, since the price is lower, we didn’t mind it too much. On the good note, we both agree that the flavors were good and not too spicy. However the curry was really watery. 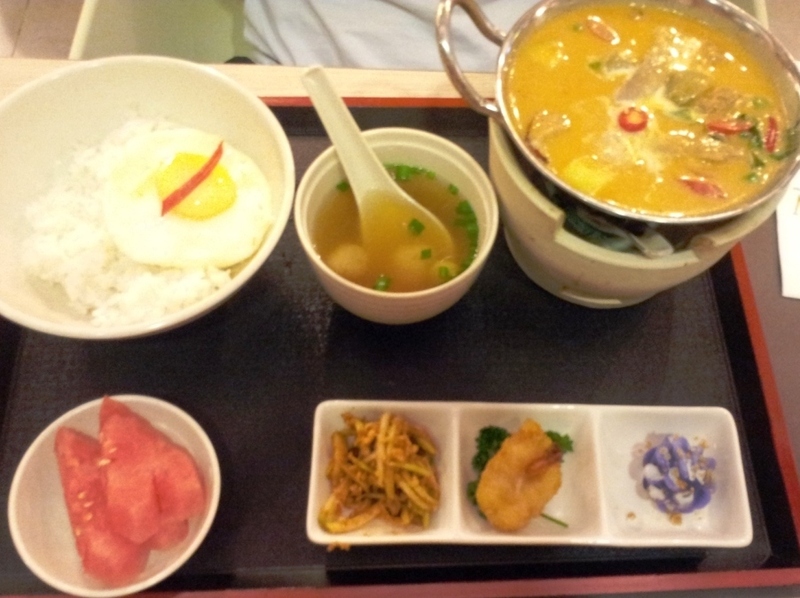 As you can see from the picture, it is really drowning with soup-like curry. The portion of meat is also quite sad to me. I was really disappointed. I would have preferred if they take away the other 2 appetizers and the clear soup to concentrate of giving me a better quality green curry chicken… bleh. 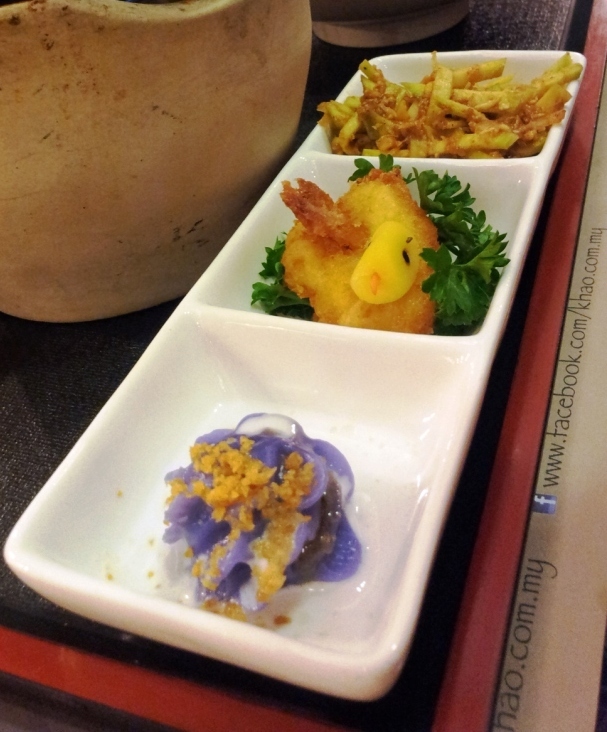 Don’t think hub and me will be returning to Khao…The meal was only so-so. And, it doesnt live up to Rama V standards.